“If there’s one thing I’d be lost without, it’s denim. I wear jeans day in, day out, and have built up an impressive collection over the years. 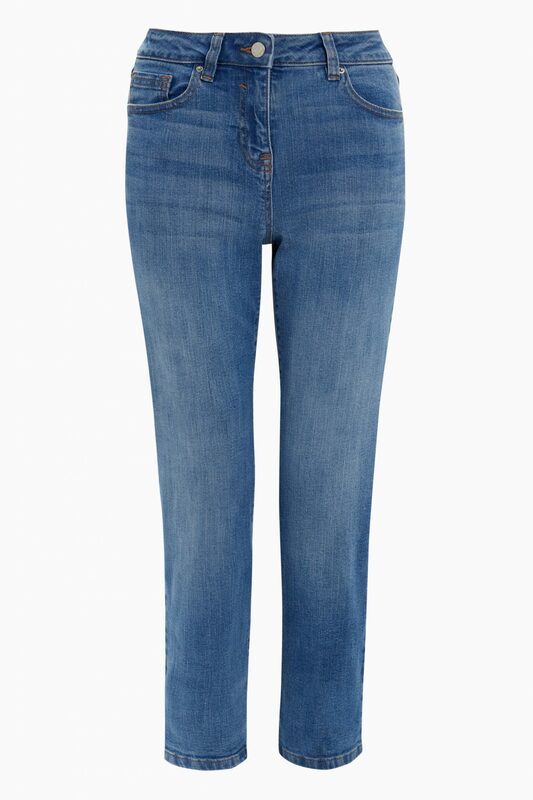 Even a pair of mid-wash jeans can be taken from day to night. Denim is easily the most versatile thing in my wardrobe. To be honest, I could write something rivalling the length of about how many different ways you can style denim, but thankfully I’ve found some winning combinations I rotate weekly, depending on what I’m doing. 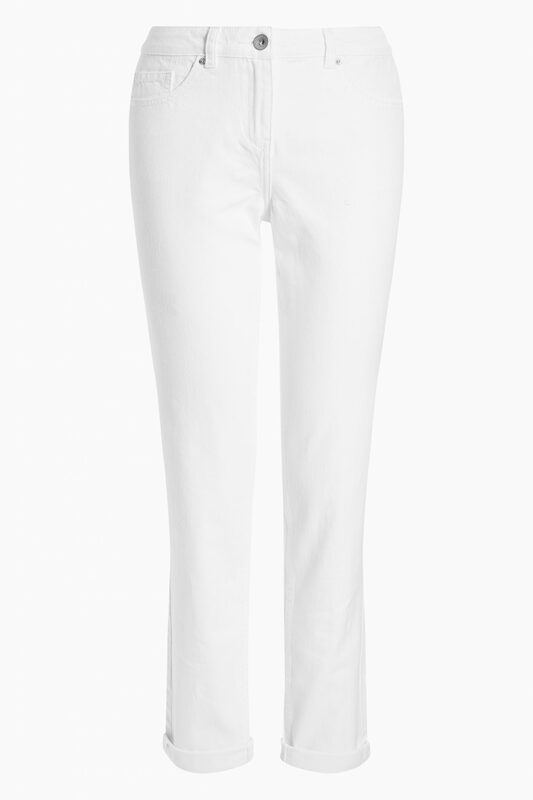 Pairing white straight leg jeans with loafers and a longline blazer is ideal for when you want to impress. I love the turn-up on these Next jeans, because it means you can also dress them down. Skinny black jeans are probably my go-to style. Not only are they flattering on everyone; you can easily wear them for casual errand days in your favourite trainers, as well as a night out with some heels and a statement top. 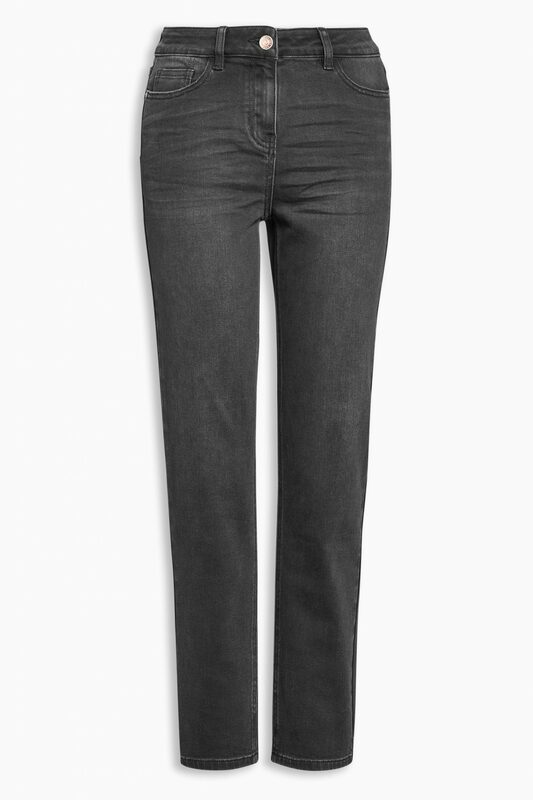 I like my black denim high-waisted, straight-fitting and cropped at the ankle – exactly like this Next pair. For weather that’s warm enough to bare your ankles, I bring out the cropped trousers every time. The faded shade of Next’s cropped jeans works so well with a fun sweater and simple monochrome sneakers. While my love of skinny denim is obvious, even I have to admit that sometime movement can be minimal. Enter Next’s 360° jeans. 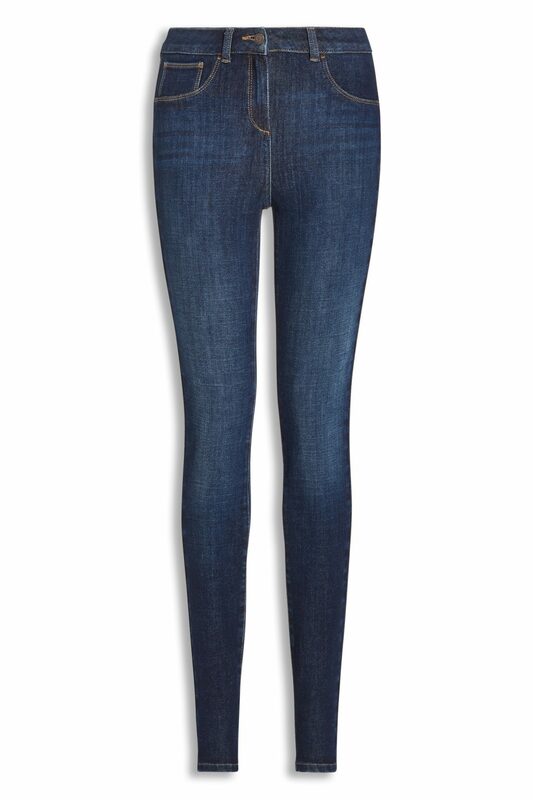 They’ve got four-way stretch technology, which means not only are they ultra-skinny, they’re ultra-comfy, too. Best worn with a huge knit and a massive cup of tea in-hand. See the full denim collection from Next here . Why not take advantage of Next’s next-day delivery service, which is available for most items. Simply order on the phone by midnight on 0333 777 8000, or online at next.co.uk. Delivery costs apply. Restrictions apply. For full terms and conditions, visit next.co.uk.